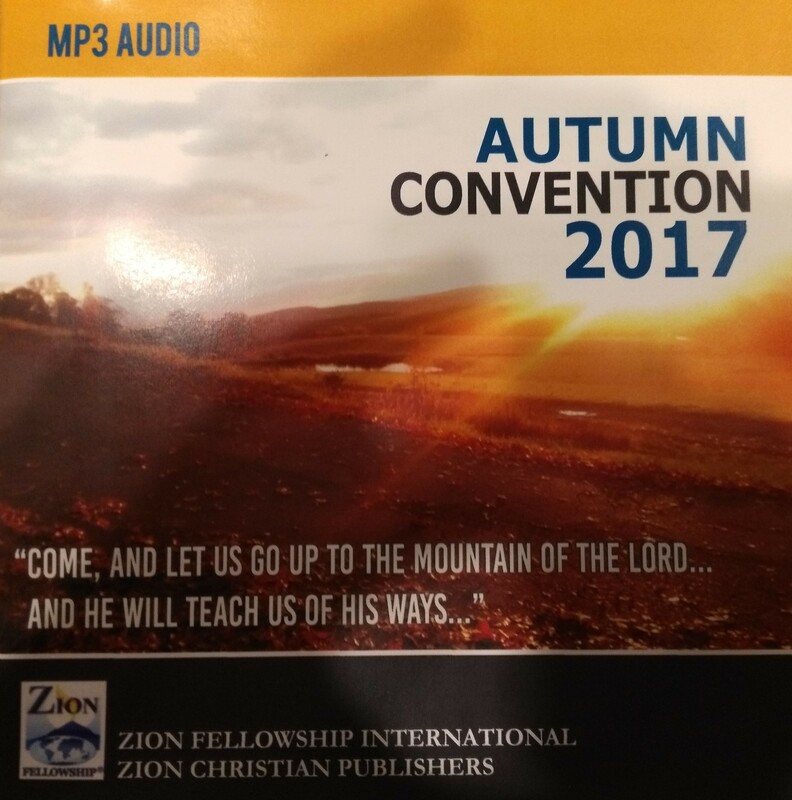 MP3 of Zion Fellowship International's 2017 Fall Pastors' Convention. The MP3 on a CD will be shipped upon purchase. Contains 22 Tracks of Worship Services, Special Music, Messages, and Testimonies. Special Music: "Patiently" by Suzanne Ying, 2017; "Isaiah 42" by Suzanne Ying, 2017. Messages: The Spirit of Understanding by Dr. Paul Caram, Judgment and Repentance by Rev. David Wallis, A Call to Evangelism by Rev. David Kropf, Entering the Rest of God by Rev. Daniel Caram, Watch Out for Snakes by Rev. John Heyer, Standing in the Storms by Rev. Daniel Humphreys, Is There Not a Cause? by Rev. Daniel Gazaway, Our Place in the Body of Christ by Rev. Benjamin Viola, Jubilee by Rev. Robert Tucker Jr., Hearing God's Voice by Rev. Robert Tucker Sr.
Testimonies: Indonesia by Pr. Daniel Saragih, Lesotho by Pr. Tom Steffy, Tanzania by Pr. Benjamin Viola.